The team at ACTIVE SABLE HOUSE wishes you peace, joy and prosperity throughout the coming year. Special Thank to all our Lovely Clients! 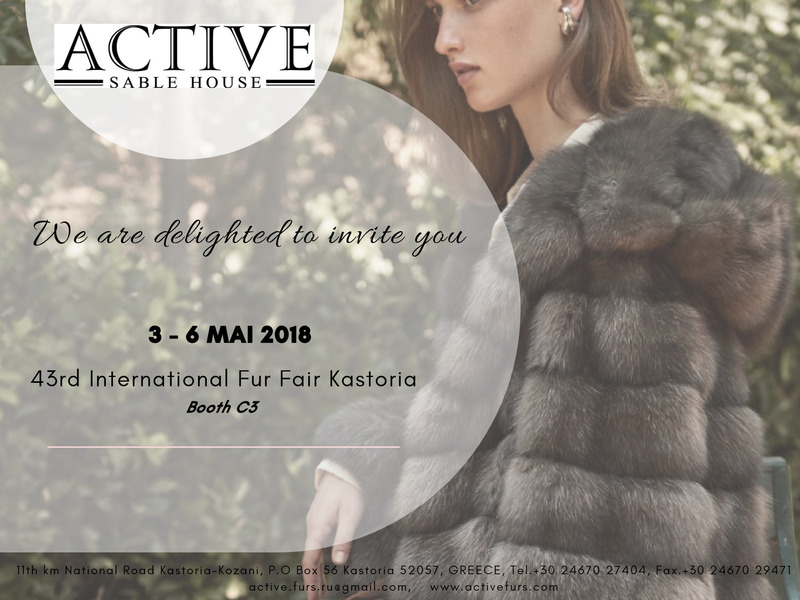 On Behalf of the ACTIVE SABLE HOUSE team, we would like to thank you for your support and attending us at the Mifur Fair 2018, the Hong Kong International Fur and Fashion Fair 2018 and 43rd Kastoria International Fur Fair 2018. 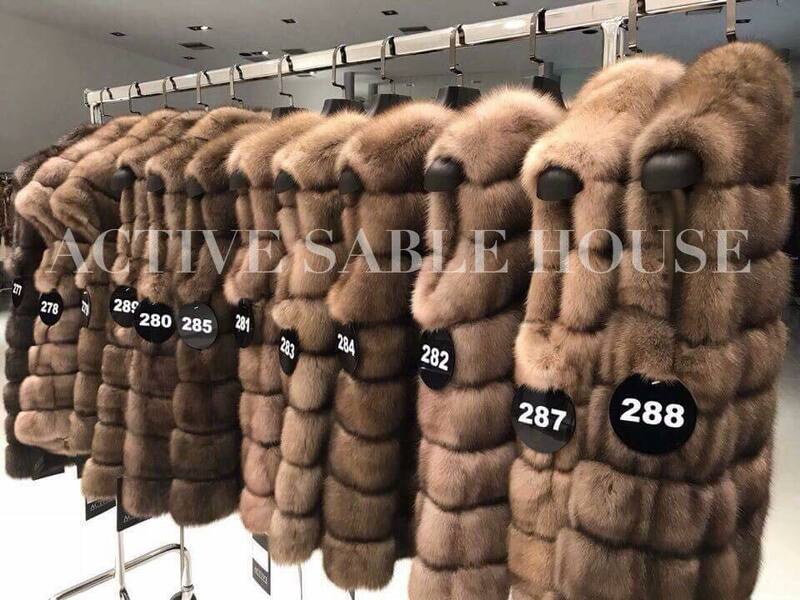 Appreciating your willingness to let your dreams come true for your one and only Russian Sable Coat at ACTIVE. We believe it was a great success, with clients all over the world who made their difference and shared their experiences with us. Please be assured, each of you played an important part for us during the Fur Exhibition. Thank you again for your continued support and we hope to see you next year at the Fur Exhibition appointments 2019. 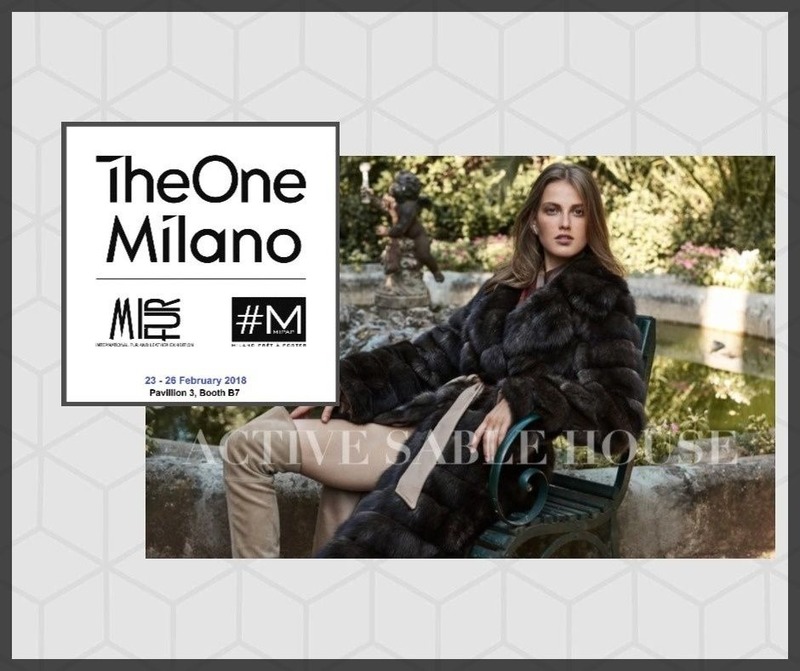 If you missed us at the Milano MIFUR Fair, dont’ worry, Take a Seat and Enjoy a Sneak Preview with lots of Russian Sable Garments and Skins – Top Lots and Silvery 4- 5 – 6. Nothing better than closing the presention of our Finest Russian Sable Designs in the heart of the Fur Center. 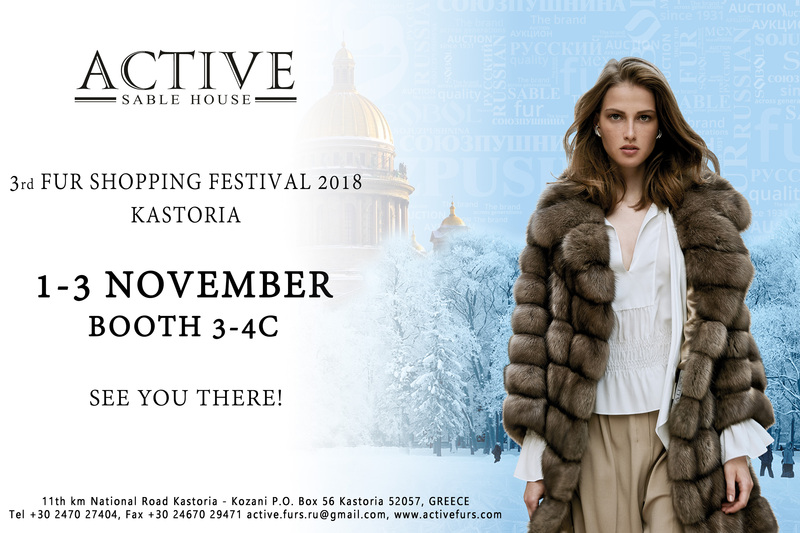 Yes we are talking about the 43rd International Fur Fair Kastoria/ Greece and are delighted to invite you in our booth C3. Let us show you the Highest Quality Standards coming to life in Fresh, Stylish and Luxury R.Sable Styles. It will be our pleasure to see you there! 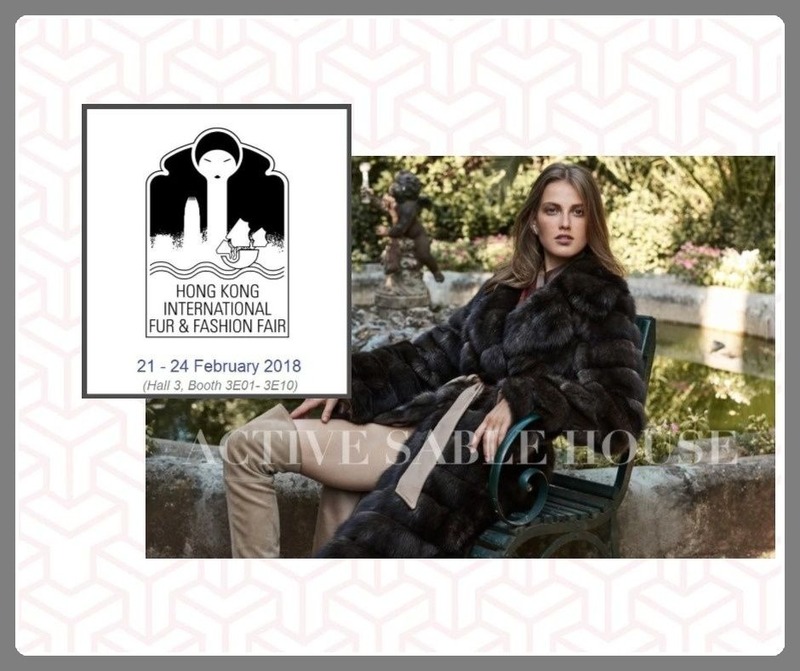 ACTIVE Sable House in cooperation with DSK Furs LTD, are present to their well-known appointment with fur lovers at Hong Kong International Fur & Fashion Fair. On 21-24 February 2018, we are delighted to have you joining us at Hall 3, 3E01- 3E10 booths, to a luxury journey in sable world’s finest garments. Let yourself discover the ultimate sensuality in our Fall/ Winter Collection 2017-2018 ‘Code Noir’. 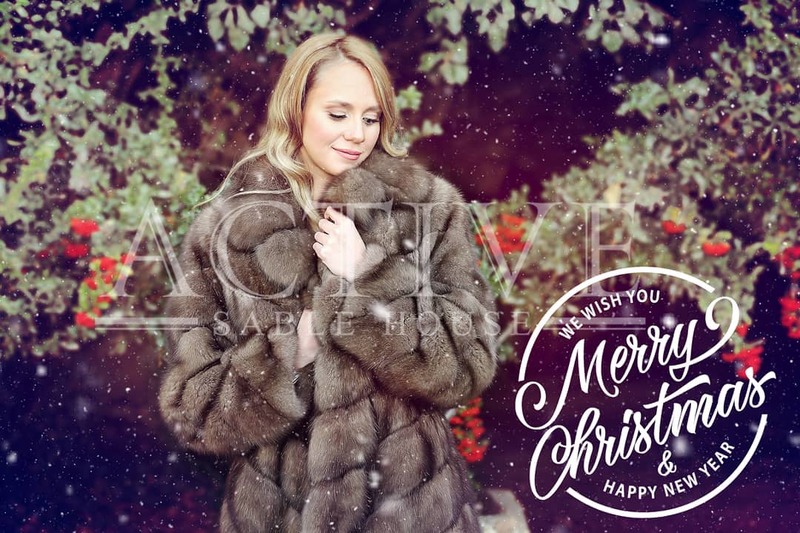 Sable Fur Vest – Special Offers Up to 50% Off. Until 31 December you will find our short and Long adorable Russian Sable Vest up to 50% Off. Get in contact with us and we will help you out to find what you desire! !